Haigood & Campbell has been serving the diesel fuel delivery needs of Weatherford TX since our humble beginnings in 1947. You don't stay in business for that long without understanding your customer's needs and doing everything you can to ensure their complete satisfaction with your services. We recognize that all Weatherford diesel fuel distributors load their fuel from the same wholesale fuel terminals located across the metroplex. Since our fuel is the same fuel as all of our competitors, there is only one promise that can separate us from our competitors---Our Service Promise---to provide consistently reliable fuel deliveries at fair prices. This is not an empty promise. You can see it for yourself online as we are the highest rated Weatherford TX diesel fuel distributor. We carry one of the most extensive fuel selections in Weatherford that serves virtually every commercial, industrial and agricultural application. Click on one of the links below to learn more about our products and services, or call us today and we'll get your questions answered. Your call is answered by a live person 24 hours a day. What ensures that we stay the top rated Weatherford fuel distributor? Haigood & Campbell has been in business serving Weatherford Texas since 1947. When you call to place your order today, you are placing your trust in a team of fuel professionals that will be here to serve you for decades to come. Haigood & Campbell has continually invested in new technologies to drive efficiency in our Dallas/Fort Worth operations, thus lowering our overhead and offering you the best available price with each and every delivery---we don't try to "buy your business" with artificially lower prices on your first delivery like some of our competitors. We pioneered DFW's first Fuel Delivery Optimization Software to determine the lowest Cost per Delivered Gallon. Every morning our software pulls the fuel costs from all regional fuel terminals and then calculates the freight charge from each terminal to your precise delivery location. The result is the lowest Cost per Delivered Gallon so that you know you are getting the best price on that day. While other companies may tease you with a lower price per gallon, they must then drive 60 miles across DFW to a specific fuel terminal to honor that price. And once they add in their freight charges and additional time in gridlock traffic, you are looking at a much more expensive diesel fuel delivery. Use technology to your advantage and know that you're getting the best price everytime on your Weatherford fuel delivery. Haigood & Campbell has the resources and experience to deliver solutions for every facet of your fuel consumption. 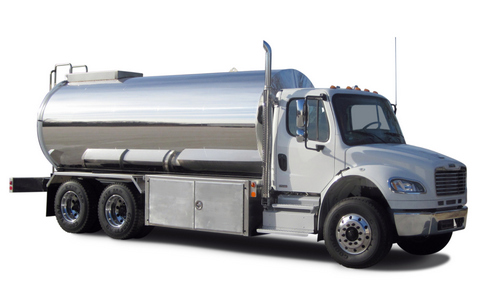 Perhaps you need a new fuel tank and pump on your shipping yard to fill your fleet. Or perhaps you need a temporary fuel tank on a job site. Or perhaps your diesel fuel has been sitting in your back-up generator for two years and you need to clean the fuel so your generator is reliable. A consultaton with our professionals may lead us to identify an area of improved operating efficiency, lower maintenance costs or better engine performance. You are an expert at your business and we are Weatherford fuel experts, so let our knowledge be of service. Now in its second generation as a family-owned business, Haigood & Campbell is still operated on a daily basis by the owner, Ward Campbell. Ward’s father started the business after returning from World War II and Ward has been in the business his entire life. As an owner-operator, he is absolutely committed to the satisfaction of every Weatherford TX customer ensuring this legacy that has been built over seven decades.